EVIDENCE SHOWS BURKA JIHADI SHOT AT IDF BORDER POST HAD KNIFE, TRIED TO SLICE GUARDS…….. – The Tundra Tabloids……. 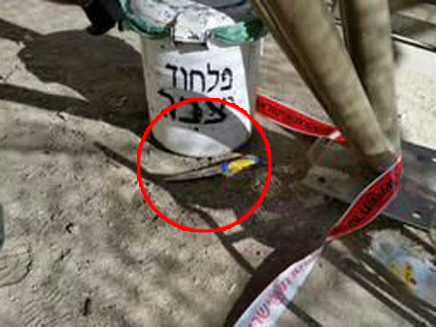 EVIDENCE SHOWS BURKA JIHADI SHOT AT IDF BORDER POST HAD KNIFE, TRIED TO SLICE GUARDS…….. Knife hidden under burka of “shaheed”. Looks like to me she was sent to commit a face saving act of terrorism against the Jews for some honor related infraction. [The Palestinian woman shot on Tuesday morning at an Israeli army checkpoint had been planning to conduct a terror attack for months, despite Palestinian reports she was an innocent bystander. Palestinian eyewitnesses at the Hashoter checkpoint in Hevron claim Hadeel al-Hashlamon, 18, was shot for no reason, though the IDF maintains she was gunned down only after trying to stab a soldier. On Tuesday morning, IDF soldiers shot dead an 18-year-old Palestinian youth at a checkpoint at the entrance to Shuhada Street in Hebron. Documenting of the incident made waves around the world and Palestinian eyewitnesses claimed that she was fired upon wrongly, but the IDF said that the young woman was armed with a knife and tried to stab a soldier – and showed a picture of it. The event was recorded by a local activist group called “Youth against settlements” and the pictures published by the student looks like she’s some ways from the soldiers who stand in front of her with drawn weapons. Among other things being tested, it’s suspected that al-Hashalmon coordinated in advance the arriving on the scene with a Palestinian photographer who documented the incident. 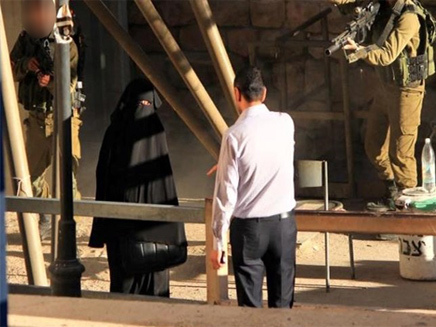 Photos released sparked a furor because the girl looks like she’s some distance from the soldiers and without the knife. Al-Hashalmon was severely injured as a result of the gunfire and was evacuated to Hadassah Ein Kerem Hospital in Jerusalem, where she died of her injuries. Yesterday, hundreds of Palestinians attended the funeral. Many waved Palestinian flags and flags of various organizations and called to avenge her death. Next Post Next Post MUSLIM SETTLER TRIPPED UP BY HUNGARIAN CAMERAWOMAN CLAIMED TO BE A TERRORIST BY KURD PARTY…….